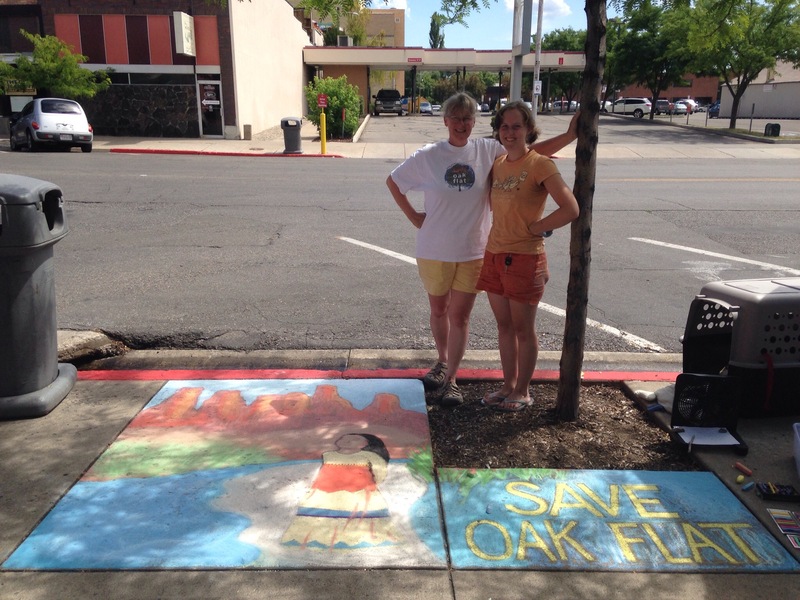 Efforts to save Oak Flat are in full swing across the country. On the east coast Apache Stronghold is taking New York and is spreading the word in big venues over the next few days. Be sure to watch the news and follow the Apache Stronghold Facebook page for the latest on their public protest. We hear they’re going to be on Good Morning America this week, so be sure to keep an eye out for that. Back in the west we’re getting traction with our mural project and have a few new sites coming up. This week we’ll draw at the headquarters of the Northwest Band of the Shoshone Nation in Brigham City, and we thank the Shoshone Nation for their support. Last week’s mural was in Logan, Utah, many thanks to James and his crew at Great Harvest Bakery for the space and the free slices of the most excellent fresh baked bread in Utah! Click Here to read details of our stop in Logan. 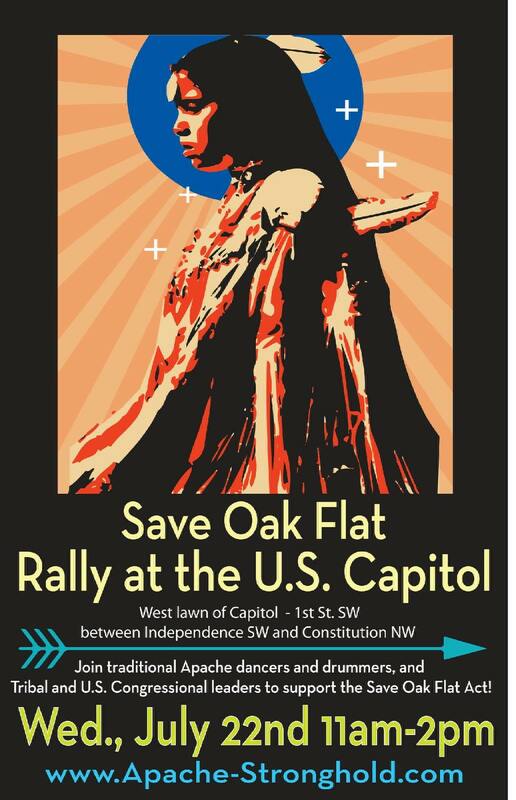 Remember, the most powerful thing you can do to help is to contact your representative and let them know you want them to strongly support the HR 2811, the Save Oak Flat Act. This piece of legislation is in committee right now, so the first push is to get it through committee and onto the floor. 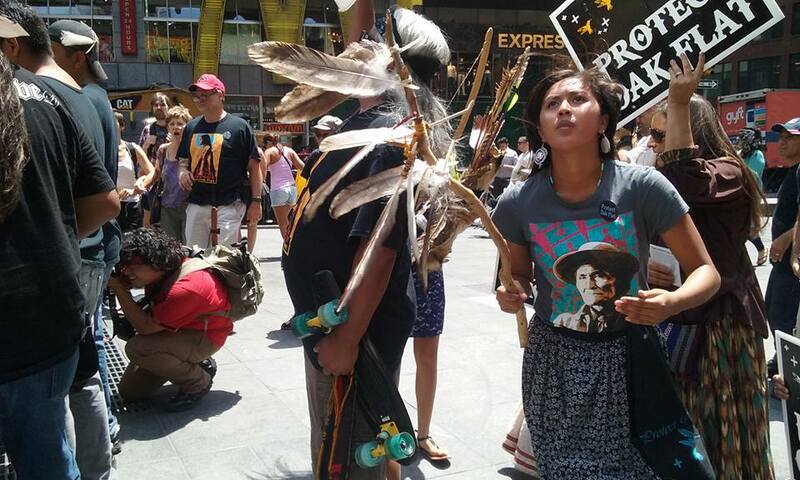 That’s what we’re walking for, and that’s what Apache Stronghold has traveled to DC for – to rally support. If you haven’t taken action yet, be sure to do it today!